ENDGAME 1.5 is an all-new installment of extra footage from the ENDGAME sessions. Coupled with Endgame: Blueprint for Global Enslavement, its all you need to know about the mechanism of world government and the steps the Bilderberg group, along with its interlocking chambers of international cooperation, will take to erode national sovereignty once and for all. 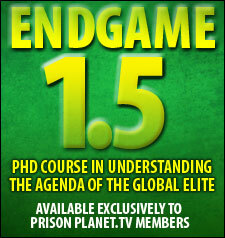 ENDGAME 1.5 takes you deeper with Bilderberg experts Jim Tucker and Daniel Estulin as well as ecologist and world government expert Dr. Michael Coffman. PART 2 examines the 'Ground Level Resistance' against the New World Order. 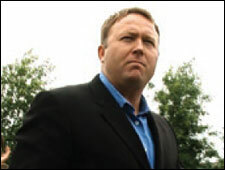 Alex Jones and other freedom fighters demonstrate against Bilderberg in Ottawa and confront some of its minions, like Governor Rick Perry in Texas. You'll go on the front line to fight for the 1st Amendment and to expose the shadowy agenda of the world's elite. PART 3 focuses on the detailed agenda leaked from Bilderberg 2007 in Istanbul, Turkey. Long-time investigative reporter Jim Tucker risks his life once again to expose plans like the restoration of the Law of the Sea Treaty (LOST), President Bush's surrender on the issue of climate change and world taxation and the on-going plans to hike oil prices in the name of supply peak and volatile world demand. A team of fellow Infowarriors joins Tucker on location to find out about the secretive group and its members' influence on the entire world.